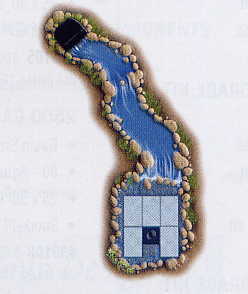 Navigate: StoreFront / Water Garden & Pond Products / Pondless Waterfall & Stream - Kits & Components / Pondless Kits / Complete Pro-Fit Medium 16' Pondless Waterfall Kit - By Aquascape with FREE SHIPPING! Complete Pro-Fit Medium 16' Pondless Waterfall Kit - By Aquascape with FREE SHIPPING! Provide the sight & sound of cascading water into any landscape setting with our medium professional Pondless Waterfall Kit. This kit has the flexibility to create longer waterfalls and streams with the Medium Pondless Waterfall Kit. 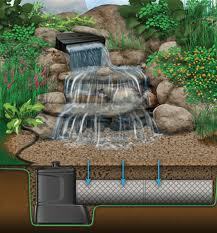 Includes enough liner to create up to a 16' stream & waterfall.